The endorsement from Sepultura guitarist Andreas Kisser, which goes, “There is fantastic research on Brazil and the political context. It has some very detailed stuff on the songs, the studio … It’s awesome,” makes Relentless: Thirty Years of Sepultura sound like a must-have. But on top of that, thanks to Rocket 88 Books we can read the preface, introduction and first chapter—23 pages in all—to make up our minds. 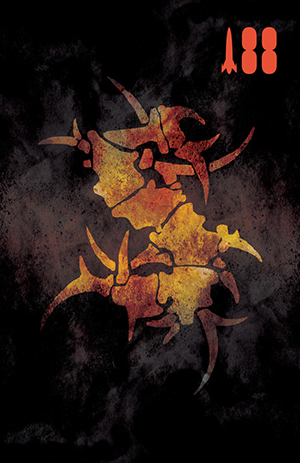 There’s more information at the Sepultura Book website. Related: besides having reviewed the band’s new DVD just two posts ago, we interviewed bassist Paulo Jr. back in 1991 in archive issue #2. This entry was posted in News and tagged book, Brazil, metal, relentless, sepultura by Editor. Bookmark the permalink.